When working in the utility industry, it is highly likely that you will be tasked with potholing. This method of gathering visual information is an economical, time-saving initiative that involves the digging of a small hole in the ground. Utility potholing is done to ensure that existing infrastructure underground will not interfere with new infrastructure that is being laid in the same area. This work can be done in a variety of different ways and offers some notable benefits too, of which we will discuss further. There are two commonly used types of excavator used when potholing for utilities. The first one is an ‘air vacuum excavator’, with the second being a ‘hydro vacuum excavator’. These two methods, as their names suggest, use either air or water to displace the ground below with them creating dry or wet spoil. Air will create dry and water will create wet spoil. This is then removed by vacuum suction and stored within a holding tank. These vacuum machines are usually mounted on a utility vehicle and are made in various sizes, dependant on the workload it is intended for. When laying infrastructure underground, there is always the possibility of damaging other underground utilities. It is highly likely that the company that the contractors are working for will be fined for this damage. It can also result in significant project downtime, which will also incur costs for the company. It may seem like these may be unnecessary additional steps for contractors to worry about, but the implications in terms of cost can be huge. If you happen to hit a gas or utility line through horizontal directional drilling, the use of a trencher or a backhoe, this could result in fatal damage to infrastructure that surrounding businesses and residential areas rely on. It is still incredibly important to determine the exact location of existing piping and other lines, despite the improving accuracy of digital locators. In a safe zone, contractors are not permitted to dig with machinery in the area, with the area size ranging from 18 inches up to 3 feet. Instead, these safe areas must be dug in using hand tools such as shovels, or the vacuum evacuation or hydro excavators. 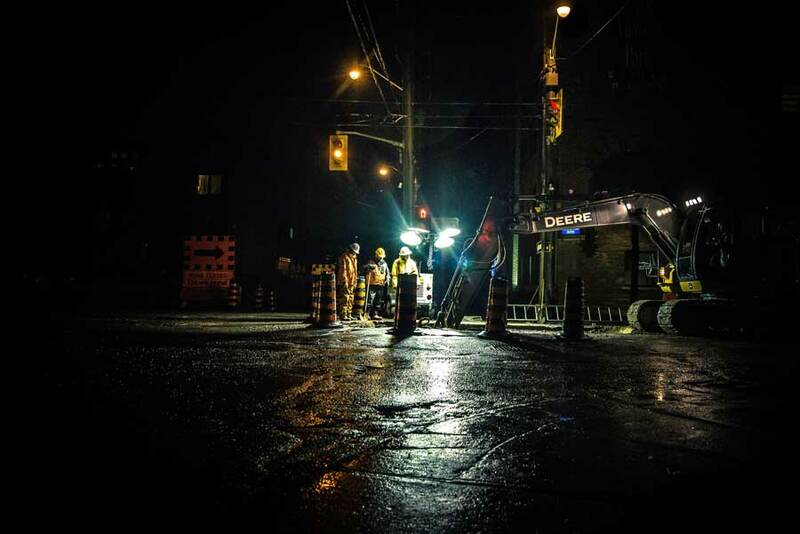 Overall, contractors and their employers must remain acutely aware of their need to sufficiently inspect their working area when laying new infrastructure underground. Rather than simply digging into the ground, contractors must instead perform either vacuum evacuation or hydro evacuation to create a pothole. This will create a line of sight into the ground that can help workers to avoid drilling into existing infrastructure, something of which could be incredibly costly through being fined or having to delay project work. Safe areas, which are 18 inches to 3 feet in size, cannot be dug in using heavy machinery and instead need to be dug by hand or using vacuum excavators.